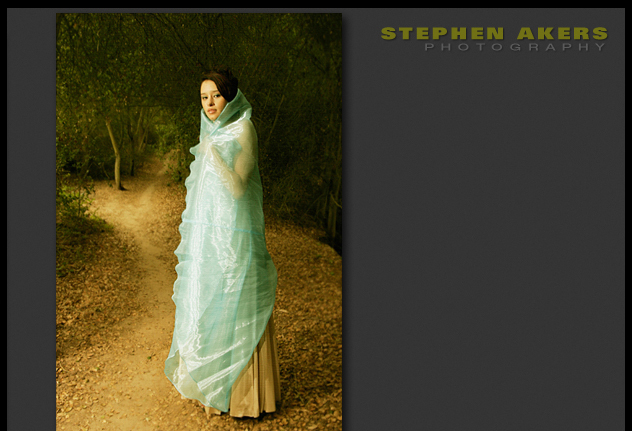 TogetherWest is the web site of Stephen Akers Photography. Our service include: Artistic portraits, lifestyle, fashion, model composites, fine art, private sessions, product, editorial, travel, engagement and wedding photography. We are a film and digital photography studio. If needed, we can bring the studio to you or scout locations and offer consultations. We can also provide in-house darkroom services, digital restoration, and digital editing. © 2001-2007 - All photography, art work, and images are the property of Stephen Akers Photography. Photographic images are protected by International and United States copyright laws, any use without permission is strictly prohibited. Site designed and maintained by TogetherWest - for more information contact Todd Akers.